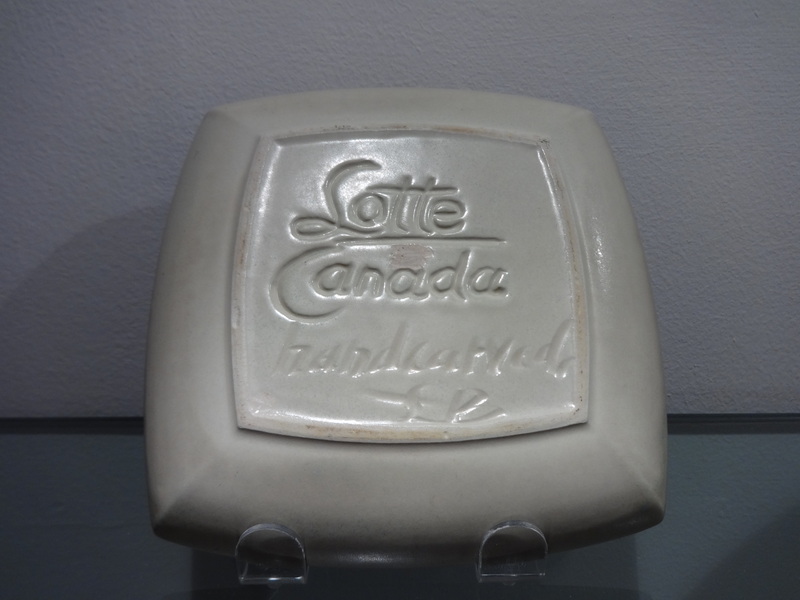 Though not as well-known as their famous Lotte Lamps, Bostlund Industries (1954 – 1975), Oak Ridges, Ontario, also produced a large range of domestic table ware and sculpture. Typical products were executed in porcelain stoneware using many of the same glazes and techniques found in the lamp bases — carving, hand painting. 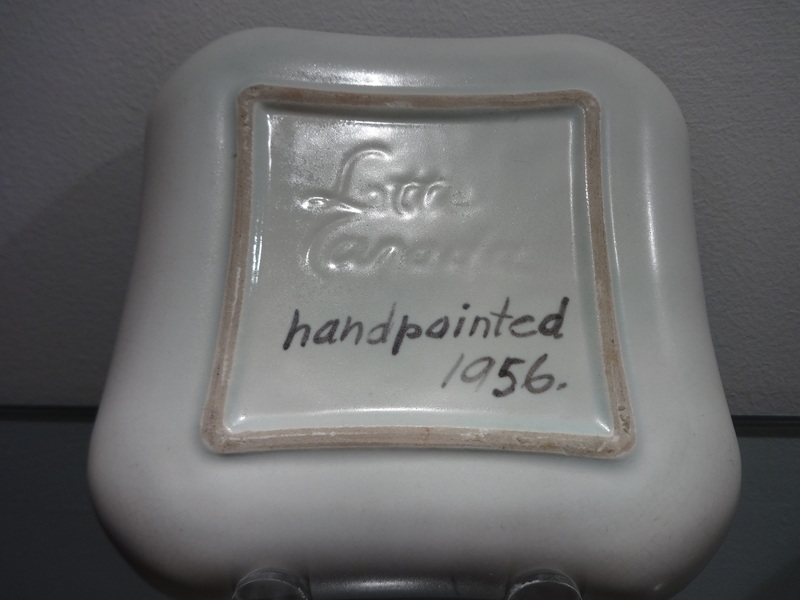 It is interesting that while Bostlund lamps have been well documented, little of their domestic ware — or corporate commissions – have been actively collected or cataloged. An important feature found in this work, however, and certainly more so than in the lamps, is how consistently it references the hand crafted and one-of-a-kind nature of each piece. The Lotte Canada may be stamp impressed but the pieces are hand carved, initialed and hand painted, reinforcing the quality, taste and value that a Modern consumer would have expected to find in the Lotte line. 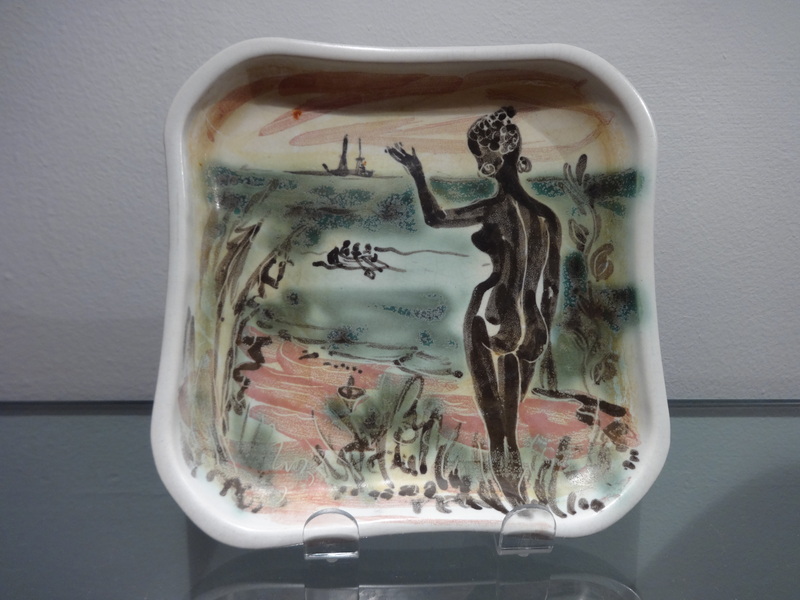 Most of the product range was produced by Lotte Bostlund (1919 – 1999), who along with her husband Gunnar Bostlund were Danish immigrants to Canada in the post-war period. The two dishes nicely capture her Danish training in combining studio and industrial design — the strong Scandinavian contribution to much of Mid-Century Modernism. In both examples, gracefully simple moulded plate forms are off-set with her accomplished studio technique. 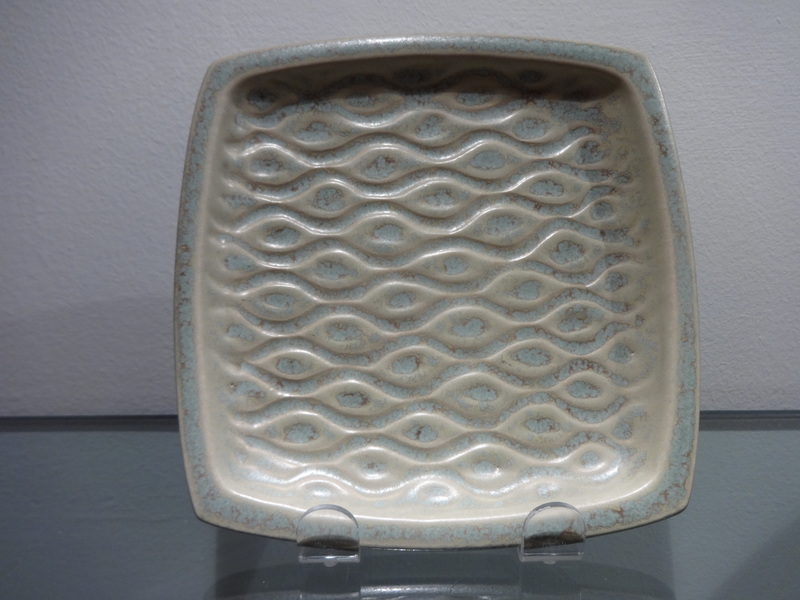 Her carving and her use of glaze perhaps reflect some of the innovations of Axel Salto (1889 – 1961) in the carved flowing bud forms and glaze pooling. Additionally, there is some beautiful well established mastery to her brush work and colouration — quite in tune with the light fanciful imagery of a tropical native isle — one of the post-war period’s many leitmotif escapes with its clinging stereotypes and sexualized yearnings. Is there any way of valuing their pieces of hand painted items? Not the lamps but the art pieces. We’ve run across a rather large piece of their art but really would like some ideas of value for insurance etc. etc. etc. Hi Dana: Thanks for the email.